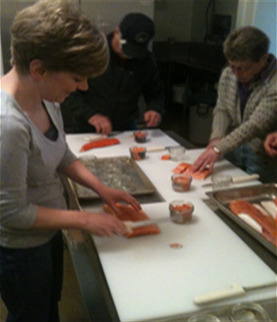 Our volunteers, staff and faculty offer expertise and workshops on nutrition, food preservation, and cooking, including our fish preservation workshops as shown below. Watch this website and the local newspaper for announcements of class dates and registration information. be reported through your local WSU Extension office.